We sat down with Alex Volberding, GLIDE Legacy Committee Member, to find out what motivates him to give back to the community through GLIDE. 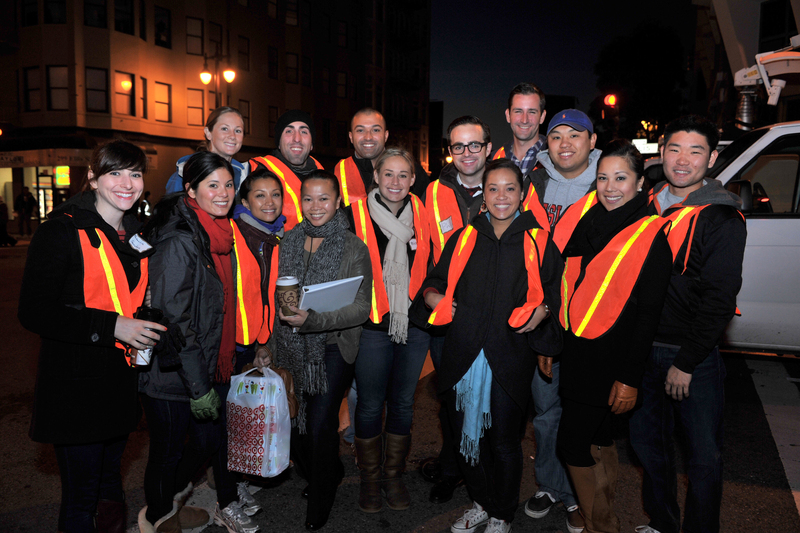 The GLIDE Legacy Committee is a radically inclusive team comprised of social entrepreneurs who strive to engage, inspire and educate new audiences of young professionals within the San Francisco Bay Area through GLIDE’s mission of unconditional love, compassion and social justice. On July 28th, the committee will host the 3rd Annual GLIDE Legacy Gala. It’s an evening of music, dance and celebration that recognizes the important work of up-and-coming change agents dedicated to improving the lives of others. This year’s honorees include San Francisco 49er, Vernon Davis, and award-winning filmmaker, Jennifer Siebel Newsom. Pick up your tickets at a discounted rate today! I grew up in San Francisco and have always been aware of GLIDE. I visited GLIDE when I was younger, but did not get personally involved until after I moved back from DC to work at City Hall. After several budget cycles cutting funding to non-profit organizations like GLIDE, I felt compelled to spend some of my personal time and energy giving back where the City was taking away. Since becoming involved I have been impressed that all the amazing things I had heard about GLIDE are true. It is an overwhelmingly inspiring place to visit and volunteer and it is never too late to get involved, no matter how little time you may have. I have a passion for San Francisco and have spent my professional career working in government trying to make San Francisco the best place to live and work. Government, businesses, non-profits, and individual citizens all have important roles to play in helping San Francisco realize its amazing potential. Our roles may be different, but it is essential to the health of the City and our diverse communities that everyone contributes something. I am driven to give back to a city from which I have taken and continue to take so much. (from left to right) Rita Shimmin, Co-Executive Director, Alan Wells, GLIDE supporter. 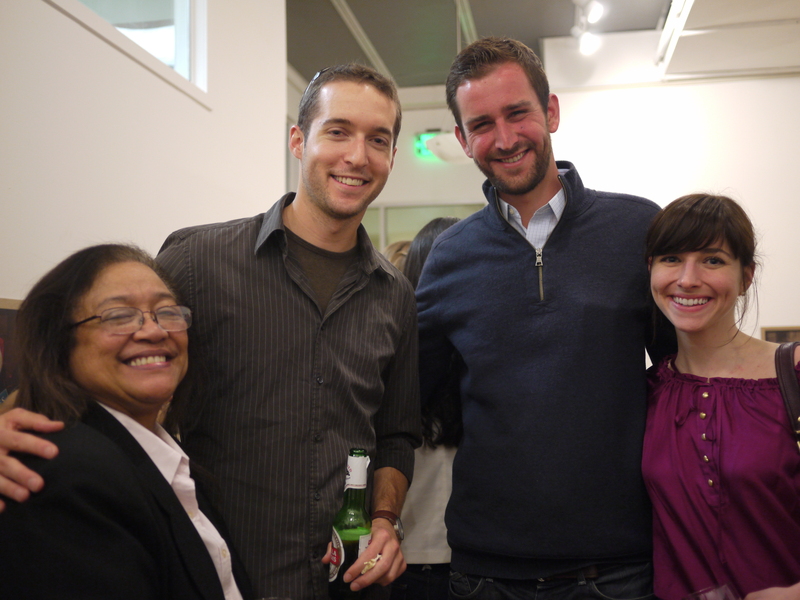 Alex Volberding and Rebecca Sanchez, GLIDE Legacy Committee members. 2011 GLIDE Pop-up Dinner benefiting the Women’s Center. What is one of the highlights of your experience as a member of the GLIDE Legacy Committee? The holiday grocery bag give-away is always a highlight. It is an amazing visual reminder of how much need there is to see thousands of people line up at before sunrise to receive donated grocery bags for their holiday meals. During the holiday season it is an incredibly humbling experience to interact with those who have so little yet are so thankful that there is an organization like GLIDE to help meet their family’s most basic need. What motivates you to donate and volunteer at GLIDE? The whole of GLIDE is greater than the sum of its parts. I recognize that my individual contribution may be small, but that many small contributions are required to make GLIDE as great as it is. I contribute what I can and when I can because I know how much need there is and that the organization depends on donations to pay for programs and volunteers to supplement staff. I find motivation in the GLIDE staff and other volunteers who give so much and inspire me to give just a little more. Cecil had said, “There’s no one way to live your life as long as you are authentic.” What does living an authentic life mean to you? Living an authentic life means practicing the principles you preach and being present in the present. I also like alliteration. What piece of advice would you share with fellow young professionals in the SF Bay Area about making time for community involvement in their life? Find the time to visit an organization in your neighborhood or near your work. Meet the staff, talk to volunteers, and interact with the clients. Be inspired.